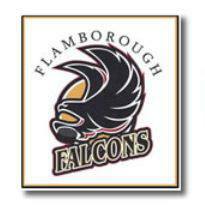 MILLENNIUM RECYCLING is proud to support Flamborough Girls Hockey Falcons Thru Scrap Drive in Waterdown on September 28th at Weeks Home Hardware! Drop off your Scrap Metal and E Waste or contact atombfalcons2013@gmail.com for FREE PICK UPS! Copyright © 2019 Millennium Recycling. All Rights Reserved. Designed & Hosted by Arrivait Marketing - Mobile Marketing Specialists.